General-purpose wiring for automobiles, boats, trucks, buses, tractors, trailers, and other motor-driven equipment. 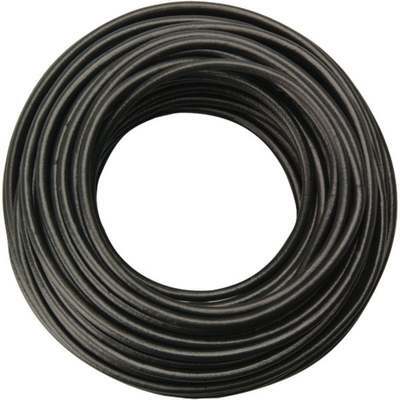 Primary wire intended for use in surface electrical systems 60 DC volts (25 AC volts) or less. Single conductor stranded copper insulated with color-coded PVC that is impervious to oil, grease, and diesel fumes. Temperature range from -20C to +60C. Manufacturer part number includes color code at end. 11 = Black, 12 = blue, 14 = yellow, 15 = green, 16 = red, 1 = white. Meets SAE standards. Carded.